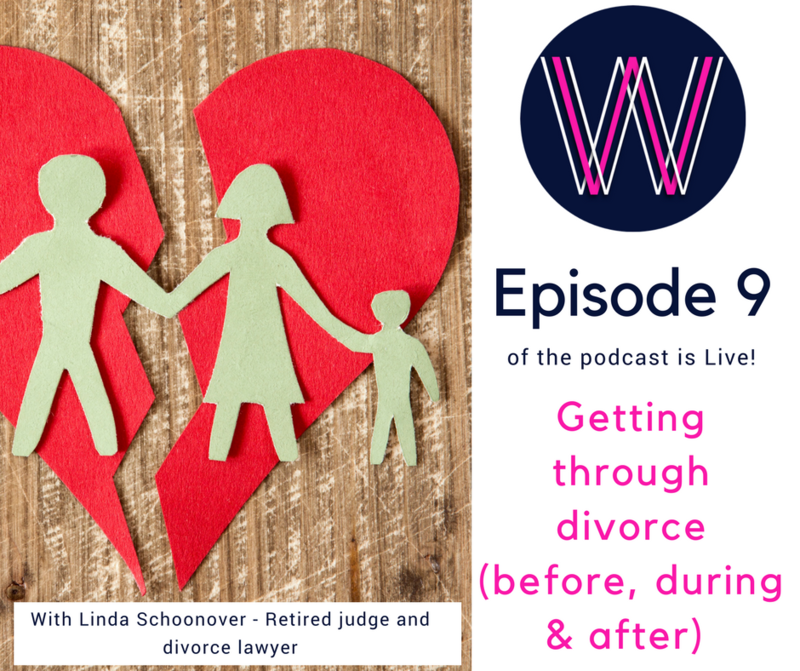 Retired Judge and Divorce Lawyer, Linda Schoonover, takes us through strategies for before, during and after a divorce. What happens when one partner out-earns the other? Lisa Linfield: 00:00 Welcome to Working Women’s Wealth, where we discuss what it takes to build real wealth in a way normal humans can understand. Here’s your host, Lisa Linfield. Lisa Linfield: 00:21 Today, I’m joined by Linda Schoonover. She has been a judge and a very experienced divorce attorney. Linda, thank you so much for joining us today. Linda S.: 00:30 Oh, you’re welcome. It’s my pleasure. Lisa Linfield: 00:32 Linda, why have you written a book, and why are you so passionate about helping people get through divorce? Linda S.: 00:40 Oh, well, when I was practicing law, in divorce particularly, I represented a lot of single women who were not prepared for divorce, and who really received what I believed was unequal treatment. I wrote the book, basically, because, one, I noticed that women really did not understand a lot about what their attorneys were telling them, so they did not have a frame of reference or information to determine if the advice was good advice or not. That’s one. Many times I believe that women have some kind of impression that male attorneys are better, and they almost let the attorneys lead them instead of doing any independent thinking for themselves, because an attorney can only give you legal advice, and sometimes that legal advice is tainted with self-interest and conflicts. For example, the longer your divorce goes, the more expensive your divorce goes, so mediating early may not be the attorney’s best interest. Also, the attorneys are not aware of what your other issues are in your life and what are priorities for you. It could be that your children are very important to you, and maybe that’s more important than something else. It could be that you have a philosophy, or that your career’s impacted. Whatever it is, the attorneys are going to look at only your legal issues, not as a holistic approach, and I like to approach divorce almost holistically for both parties because there are certain things that … it’s not winning in a divorce, it’s just a fairytale. You can’t really win at a divorce anyway, but there isn’t any such thing as winning, and the attorney may have a perspective that he has to win at all costs, and those costs aren’t just limited to the other side. The cost can be to the person he’s representing as well. So, one of the reasons I ran for judge and became a judge was because I know that judges are not perfect, and they come with personal baggage just like the rest of us. They do not always follow the law. They sometimes follow their own opinions more than they follow the law, and if they’ve recently … if it’s a male judge or a female judge, their own personal divorce experiences could impact how they rule, and so I was very concerned about women that I saw … well, who were really punished for being women and being outspoken women in the court. So, what I say to anyone is when you step into the courtroom you lose. You lose, so a better way to do it is to stay out of court when at all possible. Go to mediation, go through a collaborative divorce, but when you step into the courtroom someone’s going to lose, and it could very well be you. In most cases, it’s everyone except the attorneys. It’s the children, number one, it’s a loss of time, it’s a loss of money, and I just don’t believe it’s in the children’s best interest or in the family’s best interest to litigate your divorce. Lisa Linfield: 04:33 What is a collaborative divorce? Linda S.: 04:37 A collaborative divorce is where … let we compare it to a mediation. Mediation is when both of you have an attorney, and you go with your attorney, and you have … let’s say, the husband has a wish list, “Okay, this is what I want out of the divorce. This is what I can live with, and this is we’re going to have to go to trial if I can get this.” And the other spouse, the wife, would have the same list. Okay, so they mediate to get as many of those items on the list … that’s their idea of winning, is how much of their list can they accomplish in a mediation. In a collaborative divorce, the husband and the wife and a mental health expert and a financial advisor sit down with both couples, and they work out, “What are the issues for the family? Are the children the number one issues? Do the children have special needs? Do they want to go to a private school? Do they have discipline issues? Is it necessary for the child to live in one parent’s home because of X, Y, and Z? Maybe the other parent’s schedule.” They really focus on, “What’s the most important issue for the family rather than for either of the spouses.” So, it can be children, it could be businesses. It works very well when somebody has a business. It’s family issues; it’s not independent issues. Lisa Linfield: 06:09 One assumes that by the time you get to the stage of agreeing that you need to divorce, that the ability to communicate as deteriorated significantly, and how do you bring yourself to have this collaborative approach when, actually, there’s nothing about you that really want to collaborate with this other person? Linda S.: 06:32 The only thing that you can do in that situation is rely on the mental health expert to work through those issues for the couple. When I was a judge in the courtroom, for example, I really suggested strongly that the couple would go to an appointment or appointments with a mental health counselor to relearn how to communicate with each other, and how to put the anger and bitterness aside, and really focus on the positive as opposed to focusing only on the fears, the loss, the anger, the betrayal. All those things that we choose to focus on when we’re getting a divorce instead of focusing on the things maybe that the marriage and the relationship really helped us with or was beneficial. Maybe it’s only your children. I don’t know, but that’s an issue that a lot of couples have, and that’s why we have so many couples in court is because they think, “Well, I can’t talk with him,” and, “I can’t talk with her,” so they have attorneys going back and forth and talking for that person, and the emotions don’t go down at that point, they escalate because the attorneys, again, are driven to win, so there are allegations, they’re sometimes contemptuous and scandalous and without any merit whatsoever. All they succeed in doing is inflaming one party or another. The judges are immune to them because we see it all the time. They think that they’re going … the parties think, “Oh, the judge is going to be so … they’re going to reprimand me for being this kind of … or having an affair,” whatever it was. In fact, the judges probably look at that pleadings, and if we do, we find that, “Oh, it’s just boilerplate. One’s got another relationship outside the marriage,” and lots of times that’s how the marriages end. So, it’s nothing new, and nothing that one person needs to power about because marriages break up for a lot of reasons, in the important thing is getting past it. Either stay married and get the help you need, or get a divorce and get the help you need to get through this period of time to make the most sense and keep the relationship intact as much as possible. That’s what I really wanted to encourage the couples to do was to look beyond the situation that they find themselves in and look long-term. Especially when you have children, you’re going to be with this person whether you like it or not. You’re going to have contact with them for probably the rest of your life, and it’s better to make the best of it than to really carry around that baggage of anger and bitterness that’s going to affect your children whether you think it does or not, and you want your children to look back on your divorce and say, “That’s how adults resolve conflict. They don’t have to spend their life savings to defeat the other person. They can really retain what’s important to them individually and what’s important to them as a couple, and look beyond the temporary and say, ‘You know what? I don’t like what you did, or I’m upset with you now, but we have X, Y, and Z, and I’m thankful for that, and we’re going to get by this and our life is going to go on, and I’m going to make the best of it. '” It’s kind of an attitude, but you can help yourself by not letting yourself get entangled with the court proceedings, with the blanket advice that your attorneys give you. I’m not saying all attorneys do that consciously, but the court system itself is very litigation oriented, adversarial, and so it’s not set up to resolve things in a way that’s the best interest for your children or your family. Lisa Linfield: 10:56 As a financial advisor, I see great disparities between the earnings of a husband in the earnings of a wife, or vice versa, but one partner versus the other. It’s very seldom that partners either equally earned over a consistent period of time. It’s often swings and roundabouts, or one tends to take the role at home and the other at work. How does that affect, in your experience, the way divorces roll? Linda S.: 11:23 Well, I think the dynamics are that the party that has earned the most resents the idea of having to share anything with the other party because they feel they have done it all, they are the ones responsible for the material assets that the family has, and the other person, if the other person has not worked, then they haven’t … in their minds, they really haven’t contributed. So, there’s a lot of anger, a lot of fear, that something’s going to be taken away from them. They’re afraid of losing something and giving something to the other person that the other person doesn’t deserve. On the other hand, the person that doesn’t have that income is almost desperate and they’re fearful, and when you put somebody in a desperate situation they’re going to act impulsively, overreact, and do things that are maybe not in their own best interest. That’s why I think you see a lot of emotion with women in court and they appear histrionic, and you don’t know what parties have been through, what their mental status or emotional status is when they come to court. They could have been depressed for a number of years. They could’ve gone through some emotional or physical abuse, and when you have that happen in a relationship, you’re going to have one party that doesn’t have the self-confidence or self-esteem to be able to stand up for themselves and say, “No, this is what I want. This is what I need.” They’re more likely to roll over and say, “Whatever. You know, whatever, I’ll deal with it.” They’re just any state of survival. You got one in a state of survival, in the other one is in a state of king of the mountain, so the dynamics are a lot different for each party. All these threats and intimidation tactics, and that’s why women are just … they find themselves waking up maybe six months for a year later and saying, “Gosh, I think I should’ve taken this to an attorney or gotten advice before I made this decision.” That’s why I’m saying if people can just slow down the divorce process … it’s okay that you’ve made your mind up that you want a divorce, but I always suggest getting financial advice, getting some advice from a mental health counselor, to know, well, one, if it’s your idea, are you just reacting to something, that you want a divorce and you can’t live through it with this guy or this girl or whatever? Always understand that these decisions that you make, emotional decisions that lead to financial, legal consequences, and consequences that last the rest of your lifetime, you want to make sure you get good advice before you file anything in court, before you take any action. Really think about because sometimes our brains turn off when we get to that level of emotion. Lisa Linfield: 16:18 What is your suggestion to someone who does face almost a bullying partner that is threatening them? How do you deal that, in particular, because often they’ve got the money to throw the lawyers at the problem and you don’t? How do you deal that? Linda S.: 16:34 Yeah, it’s really difficult because that’s … they get an emotional stronghold on a person, and they’re thinking there’s nothing they can do because they don’t have any money. I think what you have to do is … it goes back to way before your divorce. It goes back to how prepared are you in life to handle life’s crisis? Whatever it is, you need to think … it’s not being self-centered, but what do you need to do so that you can live a satisfying, productive life no matter who you are? I’ve been to a lot of crises in my life, and so I know the ups and downs, but I always seek advice before I do anything. I think you have to resist the temptation to go with your emotions when something happens that you fear is going to be a total devastation to you and your lifestyle or whatever. You really have to resist it, and try to get your mind focused around possibilities, the good possibilities not just the negative, and then take the time to find experts or get some kind of objective advice so you can get outside your own had. Like I said, because your brain stops thinking, so you need that information before you make any decisions. Lisa Linfield: 18:23 I so agree with you. One of the things I always say is as a financial advisor, “It is my job to continue to find … put things in my toolkit,” and I have in my toolkit a range of options because of my knowledge that a person who doesn’t spend their whole life thinking about money or finances doesn’t have. A person who is a mental health expert, they are experienced in solving mental-health problems. Financial advisors are experienced in solving financial problems, and mediators are experienced in mediating varieties of different issues. It’s one of the things that I always say to people is not only is an advisor of any form almost an accountability partner, the mental-health expert forces you to get through and discuss and move through the mental health issues. You know, they’re accountability partners to your progress, but also they have a set of tools that you might not know about that can unlock any problem you’re solving in a different way, or at least offer a different perspective to help you unlock it in a different way. Linda S.: 19:35 That’s true, and we find ourselves so much … especially, when there’s shame involved, and I think a lot of women have the idea that divorce is something you need to be shameful of. So, what they do is they tend to isolate themselves and not want to share it with anyone, not want to talk with anyone. I’ve done a free webinar about divorce in seven steps, you get through a divorce, and I’m surprised that so few people want to take advantage of that, and I think a lot of it’s because they don’t want anybody to know they’re thinking about divorce or that they’re seeking information about divorce until it happens. One, it could be a denial that it’s going to happen. Two, maybe they want to think positively that somehow they’ll get to it, and they might, but I think some of it’s just a shame. There’s a certain amount of shame attached to a divorce, and they don’t want to feel like they’ve got to be open to people about what they’re going through personally in their marriage. Lisa Linfield: 20:51 It is an extremely hard thing, and as you say, you don’t necessarily have to talk to people that are close to you or that know your husband or not. 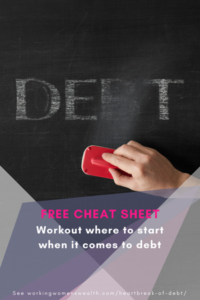 There are a lot of resources out there to help people that nobody else would know about. You were talking about the situation where so often people just sign divorce agreements to get the hurt and the pain out as quick as possible. What happens now when you’re stuck with the majority of the burden of caring for the children, and insufficient funds to be able to do it? How do you deal with that then after the divorce? Linda S.: 21:32 Let me just say, that’s one of the reasons you want to seek advice prior to the divorce is because you want to know if you decide not to seek alimony, does that cut you out from alimony for the rest of your life? For example, if you find out a month after the divorce that you have cancer or something and you cannot work, so there are certain things you need to think about like life insurance. Even if you can’t get alimony maybe you can get life insurance … or that wouldn’t help you, but if your spouse were to pass, and you needed life insurance to help you with the children and so forth, you need to be the owner of that life insurance. But what do you do? From a legal perspective, you try to modify whatever you can. If it’s child support, try to get additional child support. Alimony: In the United States equitable distribution as far as distribution of assets is final. There’s nothing you can do, and if there is an alimony decision and there’s been a decision that you’re not entitled, you can’t do anything about that either, but if there’s been any kind of alimony you may have an opportunity to go back and modify it. Other than that, I think what you have to do is you have to, again, take a step back. People get so close to their issues they can’t see them, but take a step back and say, “Okay, these are the assets I have. These are my skills. These are my experiences. Now, what can I do to improve my situation?” So, outside of the legal situation or the legal opportunities, possibilities, you have to look at, it’s kind of like possibility thinking, “How can I alter my lifestyle? Maybe I need to sell my house. Maybe I need to get but of that car payment. What can I do to get through this right now?” That’s basically the only thing you can do. Lisa Linfield: 23:38 What are the biggest financial mistakes you see people making? Linda S.: 23:44 Wow. Financial mistakes people making in their marriage or in their divorce? Lisa Linfield: 23:50 Through their divorce. Linda S.: 23:51 Oh, well, the number one financial mistake is, of course, paying for a high-powered attorney or a very expensive attorney. Attorneys, they’re not all alike, but you don’t necessarily have to get the most expensive. You need to look at, “Do they have experience in a divorce? Are they cost-conscious? Do they seem to care about you?” In most cases, people spend a lot more for a divorce than they ever get out of it, and what you want to do is conserve your monies, not spend them on legal fees, not spend them on an attorney just to impress your spouse that you’ve got this old-dog attorney. That’s not going to help you or the other person because judges don’t look at it like that. We’re just there to get through the court procedure, and what you have to do to get that final judgment, and whether the attorney is … you’re paying 500 … well, in the United States you’re paying 5 or $600, or you’re paying $250, you’re eventually going to get to the same place if they’re both somewhat competent. Sometimes if you’re in trial, heaven forbid, then you’re going to have … maybe an attorney is more competent in trial than the other person or more experienced, but in most cases, like 95, 99%, you’re never going to get to trial. A lot of trials settled the morning of trial. You work it out. And a lot of people are broke, frankly, by the time they get to a trial. They’ve already spent all their money on attorneys arguing and little, tiny hearings that may cost them 1/10 of what the trial will be, but every time you have a hearing you’re taking away money that you could spend either for your college education or your children’s college education, for your quality of life. You don’t have to give it to the attorney necessarily. We always say it’s for their children’s college education. You really can make your own decisions about who the attorney should be, what kind of attorney are you looking at? I suggest in my book, I suggest that both parties sit down and say, “Okay, we’re not going to spend any more than, let’s say, $5000 on an attorney,” and then they both are on the same level, same field, and they’re kind of saying, “I understand that this could get emotionally out of hand, and therefore financially out of hand, so we’re going to self-impose limits on ourselves.” The other way that you can do it is having a prenuptial or antenuptial agreement that things are basically worked out ahead of time prior to your marriage about what if you determine that it was best for you to get a divorce? Lots of times if you have a prenuptial, you just basically can walk in and get your final judgment. It’s not very complicated at all, and a lot of people do it without an attorney whatsoever. Lisa Linfield: 27:05 Yeah, and mistakes that you’ve seen that people make through their marriages that then impact their divorces financially? Linda S.: 27:15 Oh, one is letting one spouse have all the information about the finances, and not paying attention or not asking what’s going on financially. I think we’re brought up with an idea, especially women, that we’re going to find a spouse who’s going to take care of us financially, provide for us, protect us, and we forget that just like attorneys, people are people and they all have shortcomings and they all have areas where they are not so strong. So, leaving any area in your marriage completely up to the other side is kind of asking for a problem. I like to think that two parties or two people are getting married so that they both can contribute to their marriage and to all the issues and they can be a team, and a team requires trust, and information, and working together. Of course, the first thing that goes, I think, before communication is trust. When that trust is gone, usually it’s something that … it’s either somebody’s got a boyfriend or girlfriend, or they find out that the spouse has been doing this behavior, whether it’s financial, emotional, whatever it is, maybe it’s their job, over a period of time and never discussed it with the other spouse. Then the spouse feels betrayed and hurt and angry, and that’s when the divorces are filed. Lisa Linfield: 29:01 Yeah. Many times, people say that the source of many divorces is money. Would you agree with that? Linda S.: 29:09 I think money has a lot to do with it, but there are underlying issues, again, like a trust. I think money is just one of those issues. So long as there is money somewhere, then I don’t think that your divorce is as likely because people are able to go with the status quo. It’s when things change, whether in the bedroom or in the wallet, that people kind of wake up and go, “What then have you been doing? What’s going on that I don’t know about?” I’m not saying that the spouse knows everything, but both parties are responsible. I don’t find anyone coming to court for a divorce that’s not in some way responsible for that divorce. It could be that they didn’t go out and have an affair. It could be they didn’t use the credit cards, max the credit cards, but maybe they just put their head in the sand, maybe they closed their eyes, maybe they refused to see what they didn’t want to see. They were preoccupied with the children or doing something for themselves like going to school or something like that, and they didn’t mean to just leave it to the other side, but eventually that’s what happens is somebody does something in the other party kind of wakes up and says, “What have you been doing?” Really, it’s both of their faults, and that’s why communication in a marriage is so important, and you have to be on guard that you’re advocating your role and responsibility for that communication, whether it’s listening or giving information. You’re both equally important. Lisa Linfield: 31:08 I did an interview in August with Forbes magazine, and we were discussing the role of money, and for me, one of the things that I always say is that, “Money is an expression of who you are.” It’s not the actual source issue, the other stuff is the source issue, it’s just an expression. 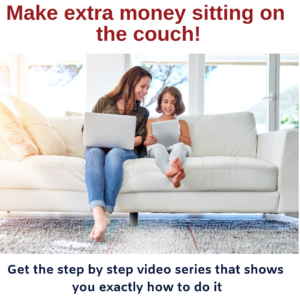 So, if you are in a position where you … if you’re a controlling person, if you’re terrified of losing control, you’ll use money as one of the ways to keep control and maintain control. If you are hyper generous you give away the money. I mean, various different things, but it’s just a physical embodiment of what else is going on in a marriage, in a human, in one way or the other. Lisa Linfield: 31:53 Yeah. If you were to give someone one piece of advice that is either going through a divorce or, let’s say, first, is going through a divorce or, secondly, has come out of a divorce, what would that one piece of advice be? Linda S.: 32:08 One piece of advice would be to not rush into another relationship until you get yourself in a position where you could handle any kind of crisis that would come up. That means emotionally, financially, spiritually, physically, every way. You need to have a mindset, and you need to put things in place to protect yourself. A lot of people, they never find out why their marriage failed. They think they know, “Because the other guy did this,” or, “This person did this,” but they don’t see their contribution. You need to identify the parts of yourself that led to the breakup, and sometimes that’s harder, and sometimes it takes longer than others. So, one, is identifying your contribution to the breakup and, two, identifying maybe why you were attracted to that person in the first place, and so you don’t repeat it, you’re not repeating patterns over and over again. Third, that you are healthy. You’re healthy spiritually, emotionally, financially, physically. You need to be healthy. You don’t need to go into another relationship still wounded and feeling like a victim from the divorce. That’s what I would say. I think people react and, again, that’s for a lot of reasons, but they jump into another relationship too quickly. Lisa Linfield: 33:41 That’s great advice. Really great advice. Well, Linda, thank you so much for your time. It’s been a fascinating interview, and just really holistic and broad-based, and I appreciate the input that you are giving to our listeners. Linda S.: 33:53 Thank you, Lisa. Have a great day. Lisa Linfield: 33:55 You too. That was Linda Schoonover, giving us some great perspectives on before, during, and after a divorce. I’m Lisa Linfield, and this is Working Women’s Wealth. I’d love for you to join us next week as we look at advanced investing, and also to subscribe to our podcast, and leave a review or rating as this helps us to make sure that we rank higher in terms of the iTunes search engine, which helps others to see us and get to know what we’re about. Take care and have a great week.